John Hicks, a pianist who helped define the mainstream jazz aesthetic of his instrument, died on Wednesday in Manhattan. He was 64. The cause was internal bleeding, said his daughter Naima Hicks. Mr. Hicks, a prolific mainstay of jazz in New York since the late 1960's, gave his final performance last Sunday at a fund-raising concert at St. Mark's United Methodist Church in Harlem. The church, which Mr. Hicks attended, was also where his father, the Rev. Dr. John Hicks Sr., had been a minister. Mr. Hicks was born in Atlanta. His family moved to Los Angeles when he was an infant and moved again to St. Louis when he was 15, when his father was appointed as a minister there. After high school, Mr. Hicks attended Lincoln University in Missouri, the Berklee School of Music in Boston and the Juilliard School. He was also soon spending time on the road with various blues and jazz bandleaders, including Albert King and Johnny Griffin. In 1963, having taken a job with the singer Della Reese, he moved to New York City, and for the most part he stayed there. With a dense, heavy, physical style, influenced by McCoy Tyner, he played in all kinds of situations, from free jazz to programs of music written by Billy Strayhorn, Mary Lou Williams and Sonny Clark. Among his dozens of jobs with working bands, Mr. Hicks had stretches with three of the most important incubators of young jazz musicians: from 1964 to 1966 he was in Art Blakey's Jazz Messengers, from 1966 to 1968 with the singer Betty Carter, and from 1968 to 1970 with Woody Herman's big band. It was after a second period with Ms. Carter in the late 1970's that Mr. Hicks's career as a leader picked up; he went on to record many albums under his own name. 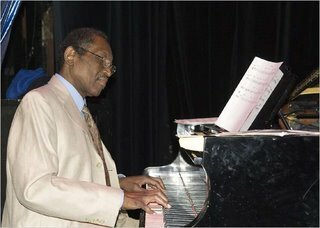 For a highly visible time in the 1980's and 1990's, he recorded as a solo pianist, in duos and quartets and in cooperative trios (the Power Trio and the Keystone Trio); was the regular pianist in the Mingus Dynasty Band; maintained his own big band; and played in small groups, including those of David Murray and Arthur Blythe. Beginning in 1983, he often performed and recorded with the flutist Elise Wood, whom he married in 2001. In addition to Ms. Wood, he is survived by his brother, Raiford Hicks of Manhattan; his sisters Emma Hicks Kirk and Paula Hicks Neely, both of Stockbridge, Ga.; a daughter and son from a previous marriage, Naima Hicks of Atlanta and Jamil Hicks of Manhattan; two stepchildren, Khadesha Wood of Teaneck, N.J., and Malik Wood of Manhattan; and one granddaughter. Hey! Very Nice Blog! Just thought I'd tell you a website I found where you can make extra cash.